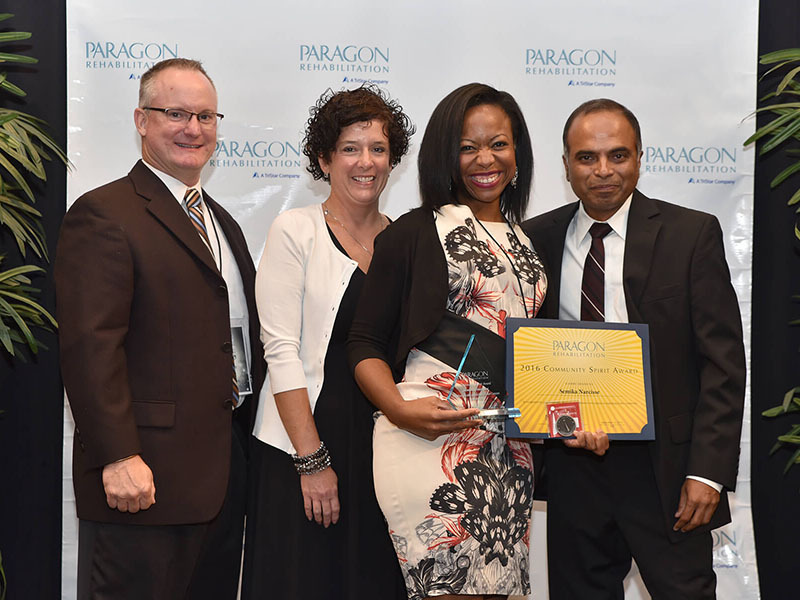 Semika Narcisse of Westbury Health and Rehab in Conyers, GA is this month’s Staff Spotlight and the recipient of our 2016 Community Spirit Award. This award recognizes a Program Director that has demonstrated excellence and team approach toward marketing endeavors for his/her campus and therapy programs. Semika clearly set the bar high as our first Community Spirit Award recipient. She completes ongoing Lunch and Learns in coordination with her Admission Director and the Westbury hospital, and actively participates in at least eight marketing events a year that include physician visits and local Assisted Living facility luncheons. Semika also coordinates many marketing events, including a Health Fair at the local Senior Center, which has now become an annual event. She represents Westbury by participating in Charity events including a recent benefit ride, Ride for Rehab, and a benefit run, Run for Rehab. Thank you Semika, for all you do for your staff, your community and all the residents whose lives you touch at Westbury. We are so grateful you are part of our team!